About a year after I started knitting, I decided to knit myself a cardigan. 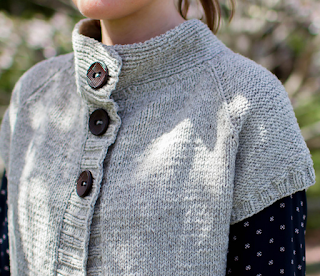 I love cardigans and felt ready to tackle something beyond a cowl or shawl. The pattern was wrong for my body type, the yarn was wrong for the pattern, I really didn't understand the importance of blocking... so many problems with that cardigan. I hated it as soon as I finished it, and never knit another garment again. Until this summer. I like to tackle either a complicated project like stranded knitting or a larger project during summer vacation but had a hard time finding one that inspired me as the school year ended. 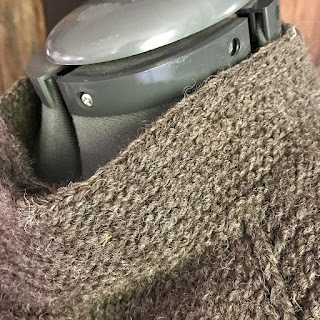 As luck would have it, a number of knitters I follow on Instagram posted starts for Rhinebeck sweaters about that time. I'm going to Rhinebeck! It's chilly at Rhinebeck (at least in the morning). This year would be different. This year, I would knit that mythical beast, a Rhinebeck sweater. 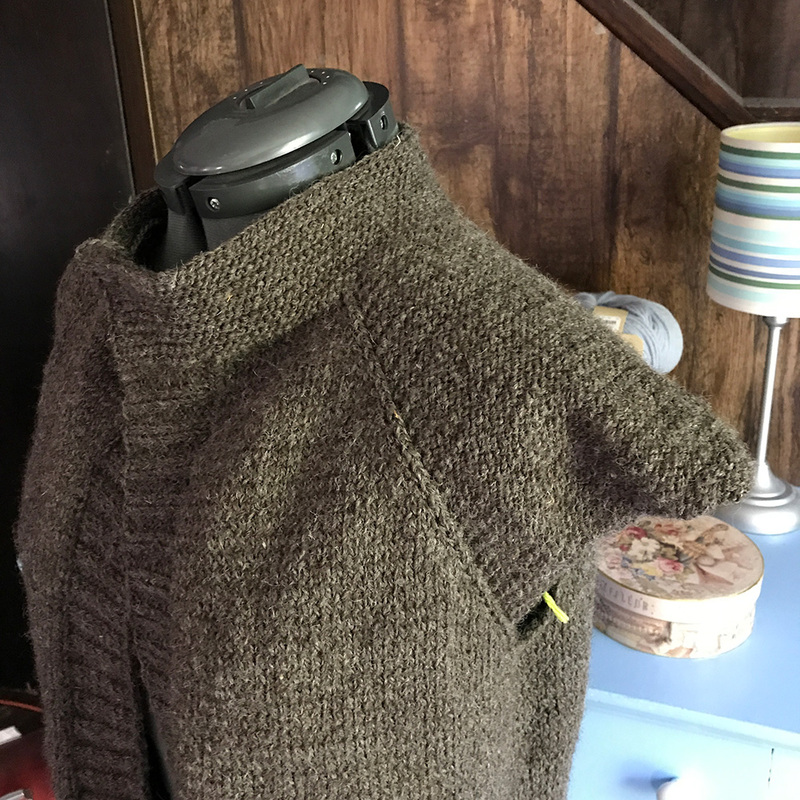 I don't know if the crickets had anything to do with it, but I came upon the Gigi cardigan by Devin Ventre in early July and mentioned it in the last podcast. A short sleeved cardigan, the pattern was not only perfect for my mom shaped body, it used worsted weight yarn and the sample was knit in what looked like farm yarn. Checking my stash, I discovered I had just enough Jacob sheep yarn from my family's farm left to knit this cardigan! I cast it on and went gangbusters until mid-August when I hit the collar. So I decided I'd pick up a row of stitches along the collar and do a purl collar horizontally. The sleeves are purled; I thought the collar would pick up that detail. It did, but it also curled like crazy. Rip rip rip! Day five wasted. The next morning while out on my walk with Kimi, I realized a garter collar would look very similar to the one originally called for. (You'd be surprised how many problems I solve on my walks with Kimi.) That afternoon, Kimi and I settled in for the Fruity Knitting podcast episode with Ysolda Teague (coincidentally the designer of that cardigan I knit so long ago). It worked! The collar stood up the way the pattern designer intended, and it looked far from wonky. I did do an icord border on each side following this tutorial so I had a clean edge. 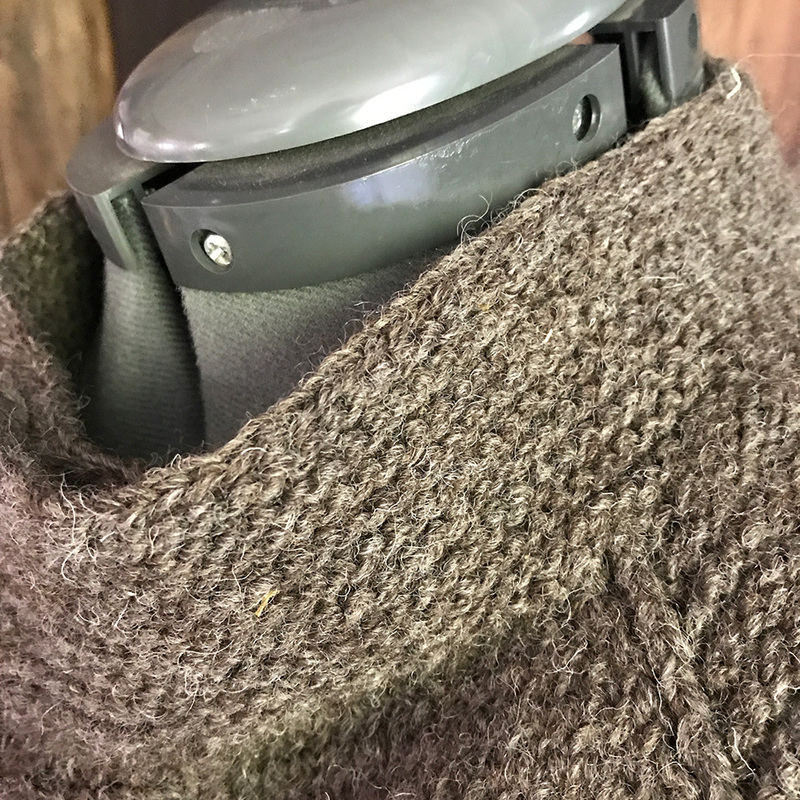 Here's what the collar looks like now (pre-blocked). With the collar conquered, I just have the sleeves to kni5 and will post again after I finish and block the cardigan! Have you altered a pattern in the past (knit or sewn)? I admit, I usually follow a pattern pretty closely, so I'm interested in what others do when creating garments. I'd love to hear about your experiences in the comments! that is one awesome collar! I love the way it stands a bit but is not a turtle neck. I a man just finishing my first adult sweater and no modifications - not that bold yet. I like the short sleeves on this one.